This PDF 1.5 document has been generated by Microsoft® Word 2016, and has been sent on pdf-archive.com on 17/08/2017 at 19:08, from IP address 150.163.x.x. The current document download page has been viewed 177 times. File size: 1.2 MB (8 pages). Programa IBM Skills Academy: a Fatec São José dos Campos foi selecionada! Isso é motivo de grande orgulho pra nós! 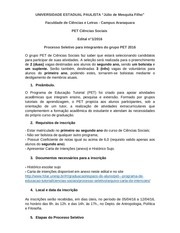 de Sistemas e Tecnologia em Banco de Dados da Fatec São José do Campos. 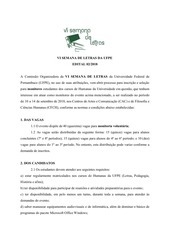 Exalunos não podem participar! 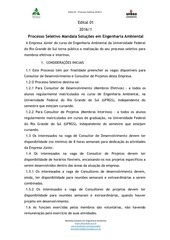 Critério de seleção: desempenho estudantil dos alunos. 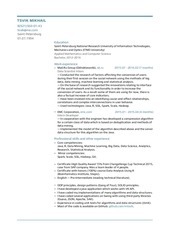 skills in Big Data architecture, such as Hadoop, Map Reduce, Hbase, Big SQL and BigSheets. software engineering, information systems and similar others. This file has been shared by a user of PDF Archive. Document ID: 00650034.